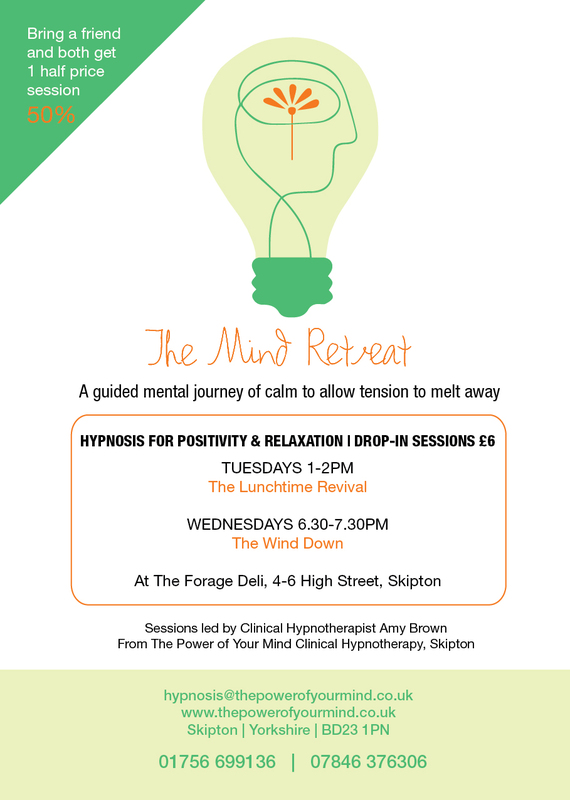 The Mind Retreat’s ‘Hypnosis for Positivity and Relaxation classes’ will restart on Tuesday lunchtimes. Hooray! Give your mind an hour of relaxation and calm; a time for you to unwind, release negativity, increase energy and build confidence and self belief, just like you deserve. The classes consist of a gentle hypnotic induction, guided relaxation with appropriate positive suggestions to allow you to feel good about being you. New time – 12.30 -1.30pm, Tuesday Lunchtimes, 5th-26th January 2016. Blocks of 4 – A set of classes that allows your relaxation to be built upon week after week. Prices – Just £10.00 for a one hour drop-in session. For more information or to book a private hypnotherapy session contact Amy Brown on email hypnosis@thepowerofyourmind.co.uk or call 01756 699136 or 07846 376306. Would you like something special this Christmas? That’s got to be a yes. So what do you need? And what would your friends and family really appreciate? Perhaps, you are looking for an alternative Christmas present idea. You want to give something special to your loved ones but maybe you just don’t know what. Well, how about mind pampering. A little bit of me time is always special; some yummy relaxation. We all love the luxury of some time for ourselves to relax. Life can be so busy these days; wor k, chores, routine, commitments and unexpected demands. It can feel like, ‘where am I in all of this?’. So how about giving your loved ones the special treat of some me time. Your treasured loved ones ( or even yourself, of course you need to be treasured too you know ) can enjoy the special treat of an hours hypnotic Ego massage*. Delicious. 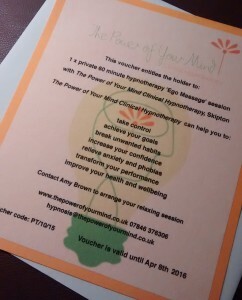 The Power of Your Mind gift vouchers can also be tailored for a set of sessions at a discounted rate, enquire for more details. Prices start at £65. So forgot the socks, the beard trimmer, the PJs or the perfume and choose the gift of mind pampering and relax. Gift vouchers are sold all year. As well as for Christmas, they make the perfect alternative present for birthdays, mother’s day, as a thank you and just because you care. * An ‘Ego massage’ is like a body massage but for the mind, allowing you to relax and feel worthwhile, lovable, confident, deserving and happy to be you. Would you like an extra hour to rest this weekend? Well lucky you, the clocks go back this weekend so you gain one whole extra hour. Have you chosen what are you going to do with that hour? Sleep in? Be mindful about what you choose to do with this hour. Sleep disorders benefit from hypnotherapy. Contact Amy for more information or to book an appointment. More than 20% off an initial session during autumn. Change is in the air. 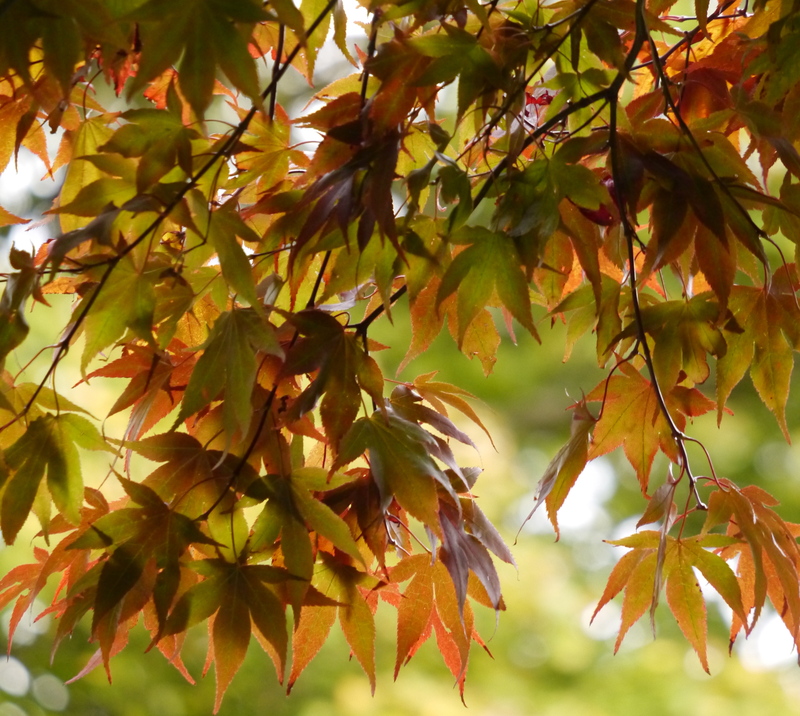 It’s autumn already, that beautiful time of year when the leaves begin to change colour to delicious shades of amber, gold and copper. This season I am offering the initial 90 minute session of hypnotherapy at a reduced rate of just £65. (Usual cost is £85). I also offer gift vouchers which can be used for an ‘ego massage’ or general relaxation, or if the lucky receipient chooses, for a particular issue. You can be sure the seasons will change. Is it time for you to make a change? My comfort zone was comfortable, as the name suggests and as you would want. I quite liked it there. But recently I had an epiphany. It has been good. I have embraced some challenges that over the last 10 years I would have previously opted out of. Before children (BC) I did lots of adrenalin fuelled stuff, some prior to meeting my husband and some since, but hardly any since the kids were born. By accidentally entering my comfort zone, where I had been for a while, it meant I got enjoyment from watching my children having fun. I remember watching my eldest enjoying pond dipping when he was about 4, doing it by himself; committed to finding pond snails and a newt. Of course there is something wonderful about watching your children have fun; exploring enthusiastically and learning about the world. Mine do enthusiasm well. But what seemed to happen without me noticing was that I stopped having experiences for myself and got my enjoyment through them; vicarious fun. I have since noticed this everywhere, kids do stuff, parents watch. When they where first born I had little time, or energy, for external activites and my priorities were different. Then I was supporting my boys, helping them to learn new skills and then being at their side encoouraging their independence as they grew. I was happy with that. Now they like to go off and do things for themselves ( if I let them) and even though I still get enjoyment from watching them do things I feel they need me less and less. 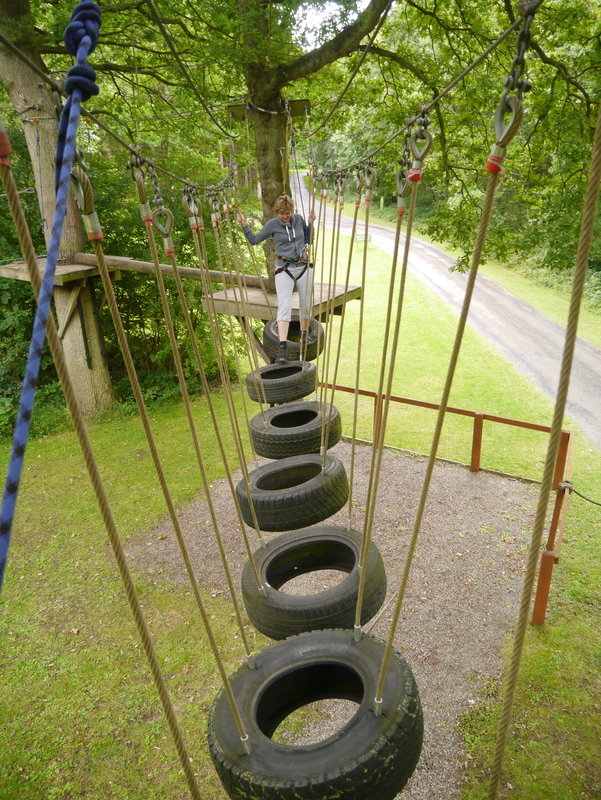 There have been lots of times where my husband has done activities they desire with them, like off road biking (this REALLY is not my thing) or somersault diving on holiday. Instead I might have sunbathed on the pool side while filming them with my phone. This summer things have been different, the kids are older, braver, bolder and even though I will still stand on the sidelines cheering their team on during a match I am no longer going to be sidelined through my own decision not to be a part of their activites. I have realised I was in danger of being separated from the other 3/4 of my family if I wasn’t careful. It was time to make a change. So, I have done at least 5 things this summer that are out of my comfort zone, time to bring out my inner child and join the kids, and my husband. This is what I have done – wahey! Laser questing: I joined in with about 20 teenagers and kids, including my family, and while I, aka Poison Ivy, attacked my ‘enemies’ the other parents sat outside having coffee. I am now looking to organise a private 3 hour session one evening. Bring it on!. High wire walking in trees: Attached by a harness, in which I started off in a mental fog, I completely shocked myself as I made fairly light work of the whole activity. Swimming in the North Sea: Freezing is the word, lots of laughs as we all ran in screaming as it was so darn cold. It was a whole load of bonding fun catching the waves with body boards. A roller coaster: I used to love them when I was 20. This was a real biggy for me, I was so terrified. I have always felt like as soon as I birthed my children my nerve levels dropped to zero and my maternal protection instinct kicked in instead. 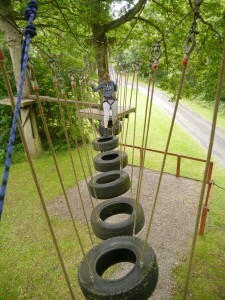 The adrenalin rush felt so good I did it twice. Indoor skydiving: This was so different to anything I have ever done, even BC, but so very cool. Loved it Do it if you get a chance. Maybe I’ll even go for the real thing next time. I feel exhilarated, I might even go off road biking. I would love to know your experiences. Have you done more or less activity for yourself since your kids have been born? Why? Tell me about times when you have surprised yourself by doing something new or different. 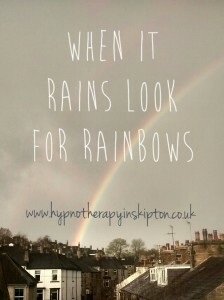 Hypnosis can help you to come out of your comfort zone, take risks and overcome your fears. What would you like to do? Contact The Power of Your Mind for more information. 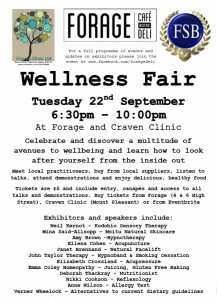 Wellness Fair, Forage Deli, Skipton. 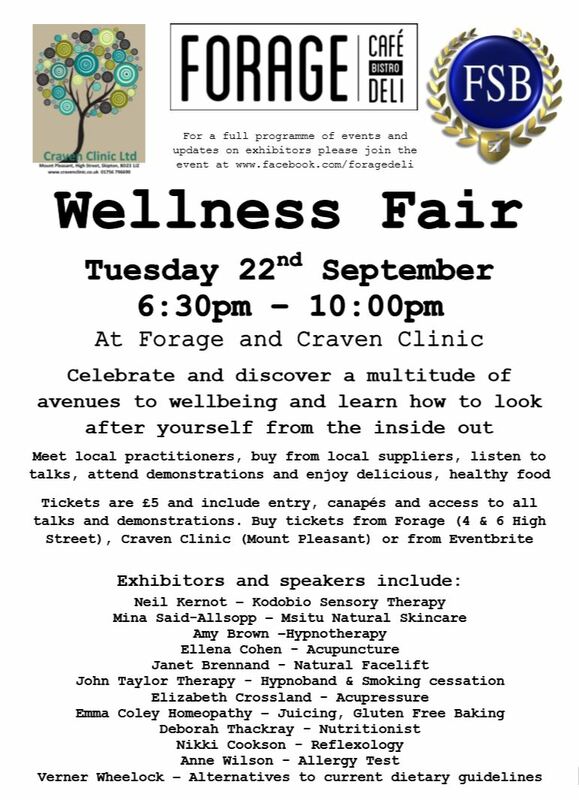 Wellness Fair at Forage Deli Skipton, Tuesday 22nd September 6.30pm -10.00pm. This is a relaxed evening with an opportunity to learn about different avenues for your well being. Come along to meet me and other local practitioners. 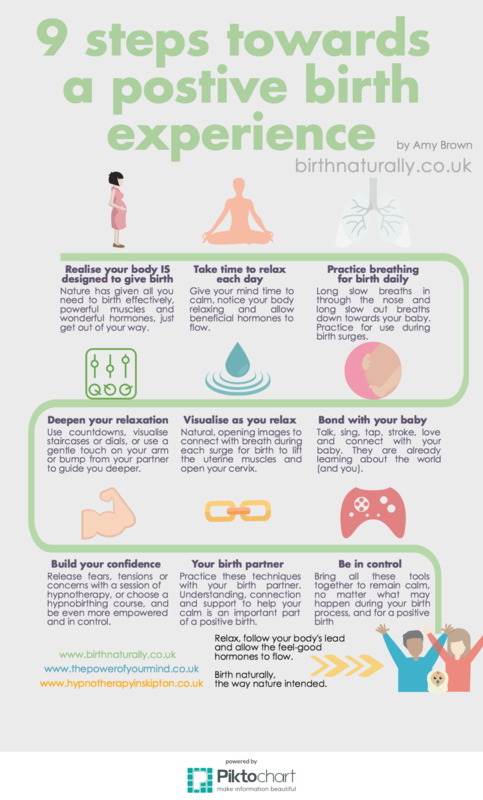 I will be doing one or two relaxing hypnosis sessions during the evening ( included in the entry cost) and selling some HypnoBirthing books and CDs. I am also excited that I will soon be offering monthly bookable group hypnosis sessions with The Healthy Lifestyle Studio, which has recently relocated to Brook Street in Skipton. Look out for more information soon. The Mind Retreat is taking a break throughout August. It will continue as usual on Tuesday 1st September with the Lunchtime Revival from 1-2pm upstairs at Forage Deli, Skipton. I look forward to seeing you there for an hour of calmness, positivity and relaxation, just for you. Your mind deserves a rest so put it in your diary today. Enjoy a great summer. Due to circumstances beyond my control Mind Retreat sessions will stop as of immediate affect. Apologies for any inconvenience this may cause. I will be looking into a new venue and will post any changes here.